I belong to a select group of obsessed film geeks aka “Old Movie Weirdos” that watches classic film at a dizzying pace. We eat, breathe and sleep old movies. We talk about it, we blog on it, we spend our hard-earned cash on it. Undeniably, we watch it. There are many ways one can get their fill of ole black and white classics. But for many of us, we have discovered a common home to enjoy these films… Turner Classic Movies. I have happily taken pleasure in my cinema addiction via TCM (“Turner Classic Movie channel”) for years. Then the good folks at TCM started an annual film festival to bring all of us “old movie weirdos” together. This year marks the 5th annual celebration as such and the 20th anniversary of this marvelous network. Living in the middle of the country and as a married, working mom of 4 teenagers, this annual trek to Hollywood was simply not feasible. After pinching every penny, and months of obnoxiously obvious hints to my poor dear husband, he gave me the ultimate birthday present- a trip to TCM Film Festival! My birthday was November 14th- the very day TCMFF passes went on sale. So here I am, little over a week from my first ever trip to Hollywood, California and my very first TCM Film Festival. The official schedule of screenings and events has been released and thus the planning and re-planning has begun. I’ve heard of the long lines, the near-misses and finely-tuned strategies involved in this process from other like-souls who have made this journey before me. My strategy? Make my favorite picks in each time block then happily ‘go with the flow’ when any of those well-laid-out plans fall through. My goal? Have the time of my life as this Kansas gal makes this magical journey to Tinseltown, meet up with friends (my modern-day online ‘pen pals’ oft from far, far away) and who knows… perhaps some celebrity sightings as icing on the cake?! 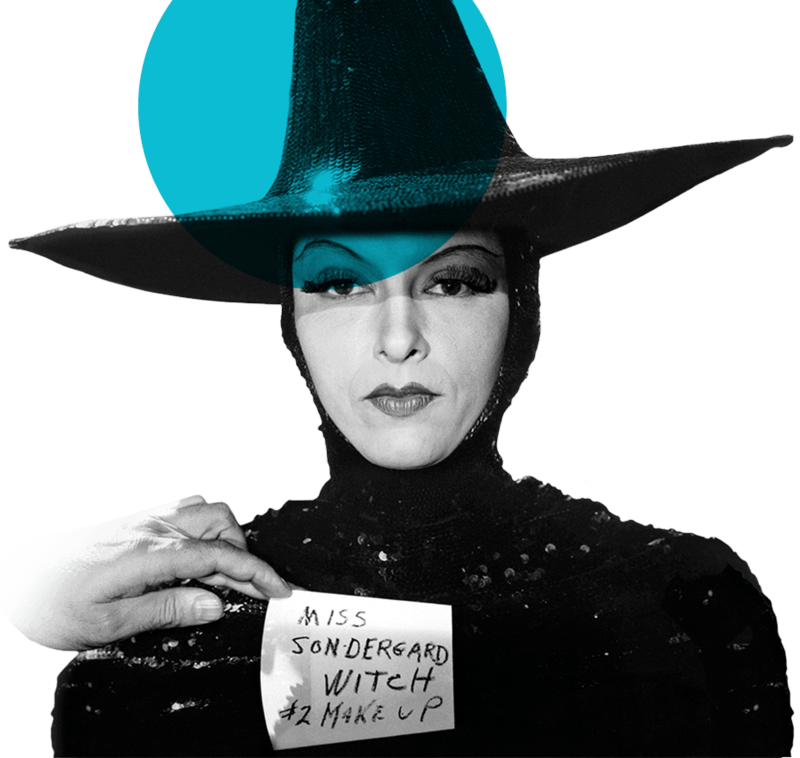 7:30pm- THE WIZARD OF OZ or… THE LODGER with Mont Alto Orchestra – This a toughie. As a Kansas gal, I want to see Oz on the big screen since I’ve only seen it on tv, especially with the 75th anniversary. Then again, I’ve never seen Hitch’s THE LODGER on the big screen with Mont Alto Orchestra live musical accompaniment either. Aargh! 9pm- Official Closing Night Party! I’m both exhilarated and exhausted already just thinking about this incredible event. Not sure how I’ll cover some basics with this frenetic pace, like going to the bathroom or eating. But I’m certain even with a four day diet of popcorn, it will all be completely worth it. See ya at the movies, fellow “Old Movie Weirdos”! Fantastic list!! I'm so excited for you that you get to make this list and go to LA and carry it out! This is my first year with a pass (and not just hanging out in the back of the line hoping for an empty seat) so I'm somewhat overwhelmed being able to choose one of EVERYTHING! I definitely need to sit down and lay out my priorities this weekend—the best part of having such a robust schedule though, is knowing that pretty much any choice will be a great one! I enjoyed reading your picks, Kellee — and I look forward to meeting you! If I don't see you anyplace else, I'll surely see you at Double Indemnity and Blazing Saddles — two of my own must-sees! (Although I have seen DI so many times I could get up and act in it, and have even seen it on the big screen, I just can't pass it up.) And Mel Brooks — fuggedaboutit!!! Excuse me while I whip this out! Karen- I cannot wait to meet you- please come introduce yourself if you see me! I pretty much look exactly like my profile photos, so I hear, so please say hello! By the way, Blazing Saddles is my #1 pick to see at this Fest so we def gotta get into that one. See ya there, sweetie! Great list. I think we're going to be stumbling over each other two or three times a day. Greetings, Kelle! I’ve just nominated you for a Versatile Blogger Award, because I genuinely enjoy reading your posts (and not just because we finally met up at #TCMFF 😉 ).